Your wedding photos are delivered to you via a password protected online gallery for you to view and download. This means you can instantly access your wedding photos wherever or whenever you like from any device. You can also choose to share your gallery with family and friends by providing them with the password. Online galleries remain active for at least 12 months from the date you receive your pictures. 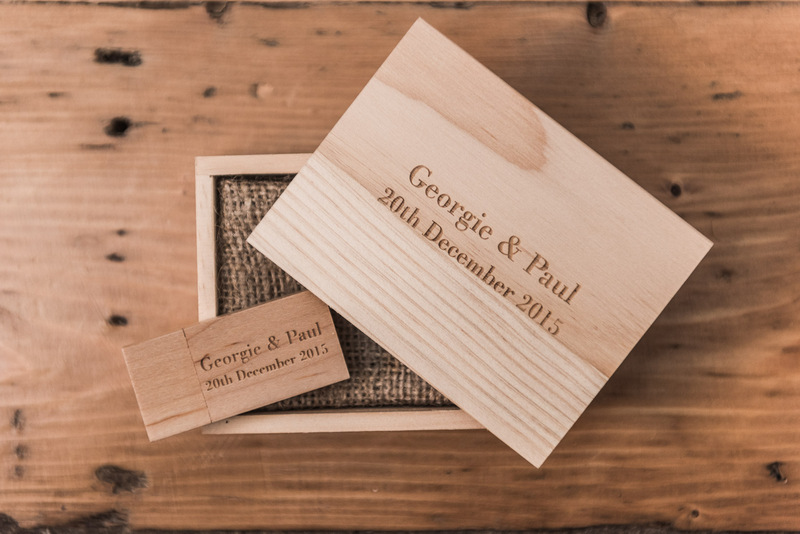 You can also choose to add a personalised USB and keepsake box to your wedding photography package for £50. These wooden USB sticks are engraved with your names and the date you got married, and are accompanied by a matching wooden keepsake box. On the USB you’ll receive both print resolution and web resolution optimised files.